Any way you add it, Komandor’s wall partition system makes sense! 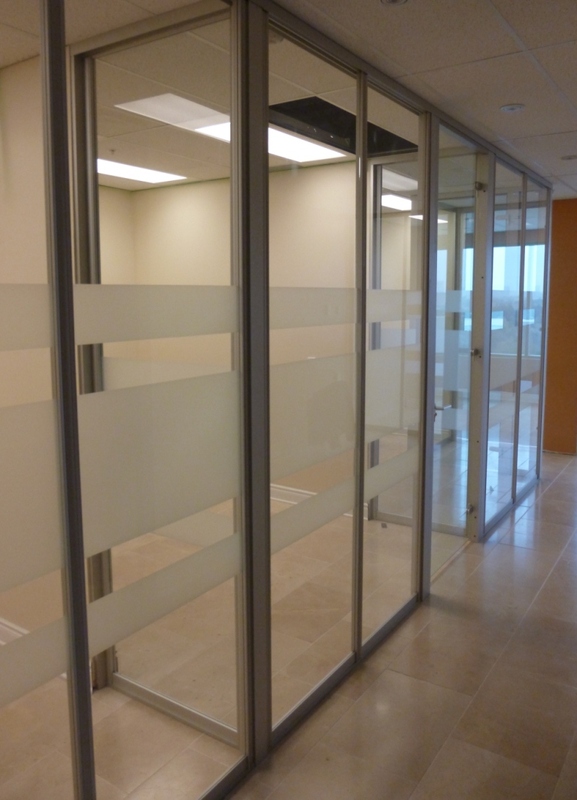 Komandor’s “Aurora” wall partition system is made up of anodized aluminum parts combined with glass or wood panel inserts. 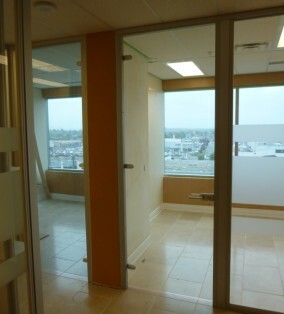 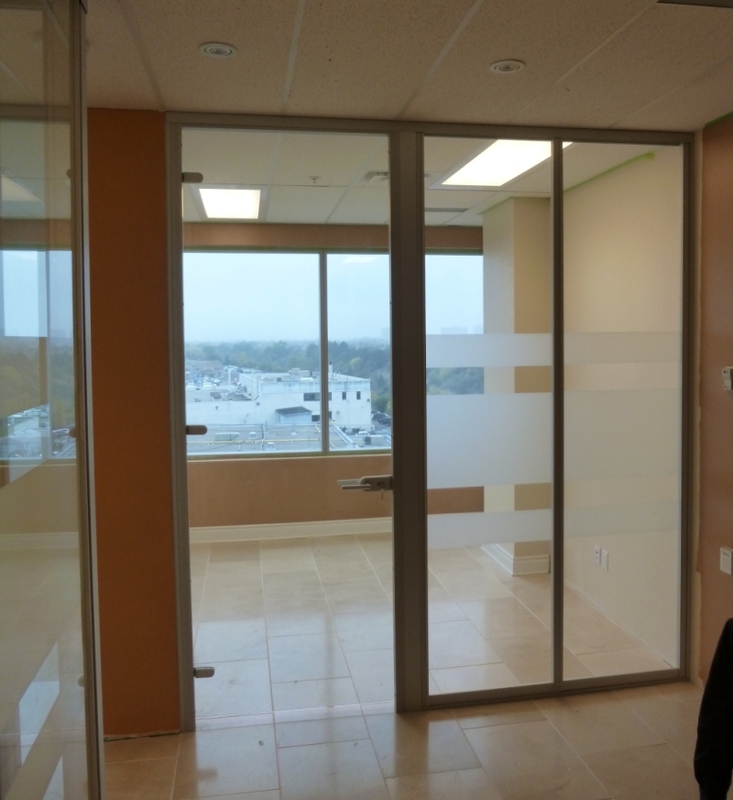 It is the ideal solution to divide an open space creating private offices, conference facilities and more. 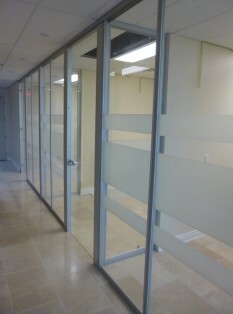 The custom, made to measure wall sections are pre-assembled at our factory and then installed on site. 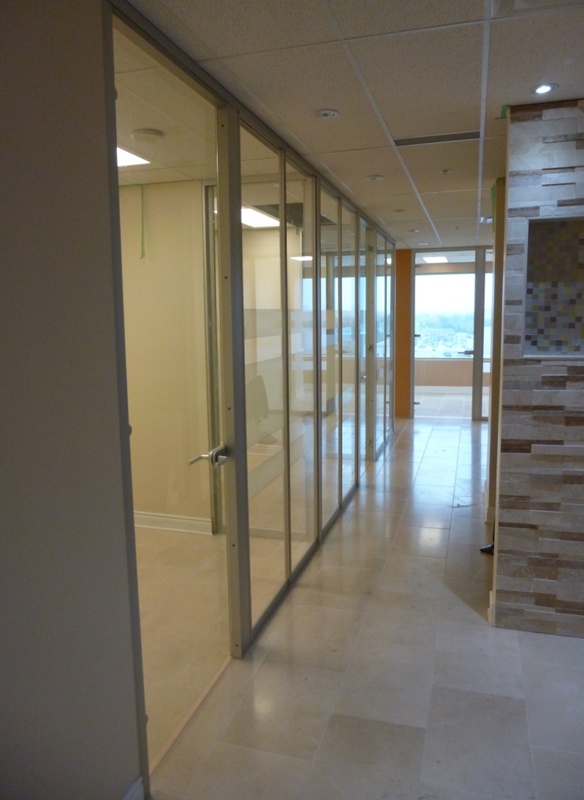 Komandor’s wall partition system eliminates the mess and debris that is associated with traditional construction requiring framing and drywall so it is a perfect product for retrofit or new construction projects. 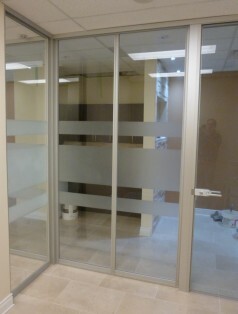 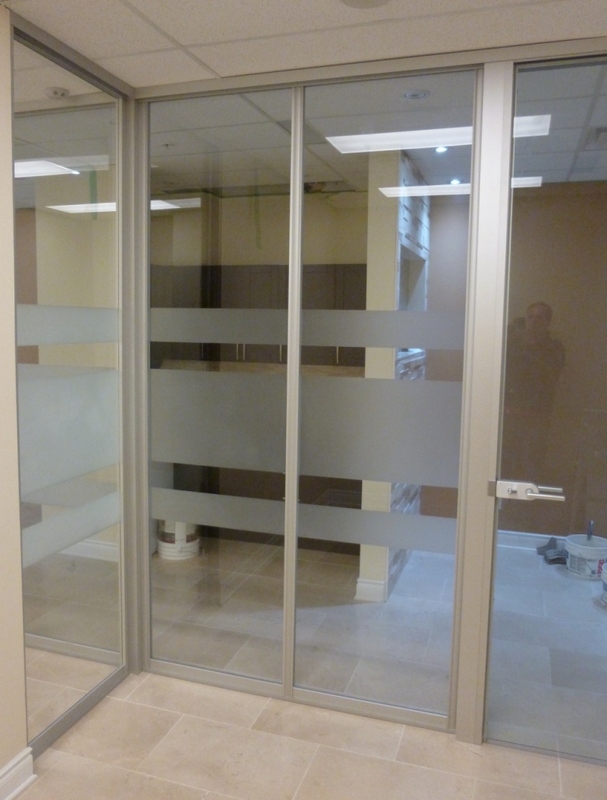 Fixed wall sections can accept clear or frosted safety glass, laminate wood or other decorative panel or you may choose to combine different glass and panel materials for your own custom look. 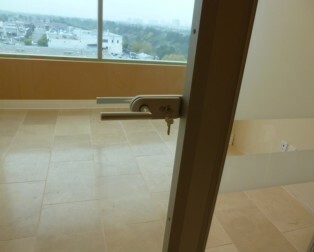 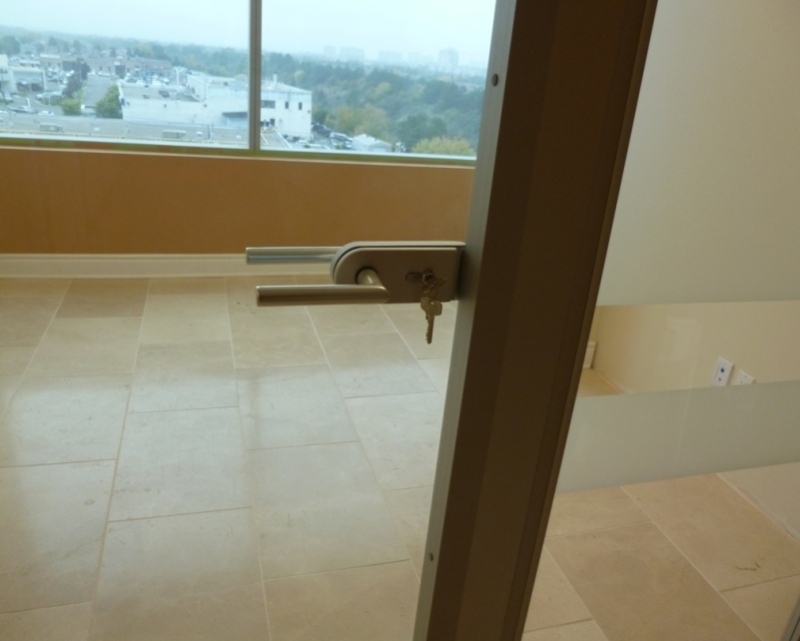 Door options include framed or frameless hinged swing doors (with or without locksets) and bi-pass sliding doors with or without a bottom track. T-bar ceilings are not a problem, our system can be installed to the ceiling and special supports used to make the system rigid. For this accounting firm, Komandor installed multiple systems featuring anodized aluminum full height clear and frosted glass office fronts. 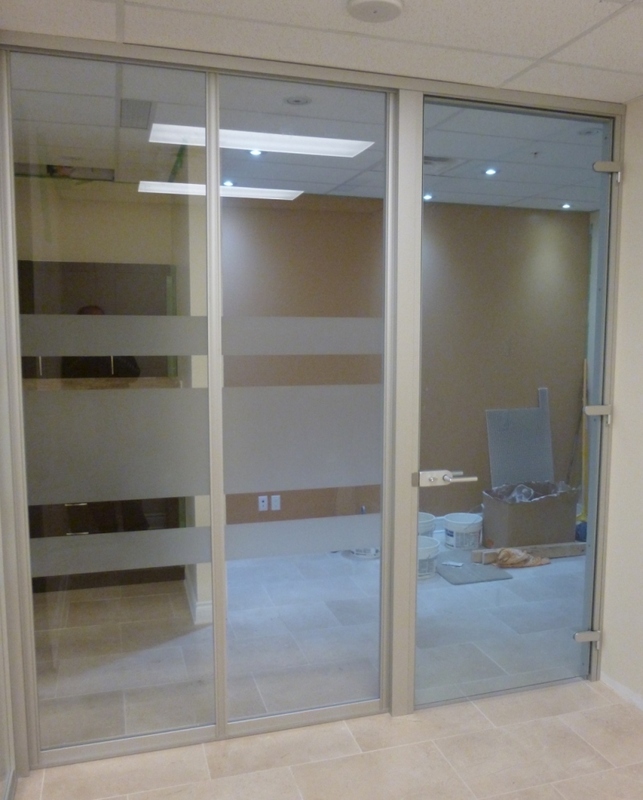 Installed by our professional team in just a couple of days, the new office front maximizes natural light transmission throughout the interior of the office space. 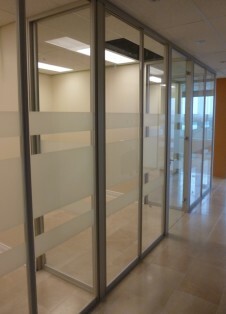 Browse through our online wall partition system CATALOGUE for more details and product specifications or Contact Us if you would like more information on this system or other Komandor products.